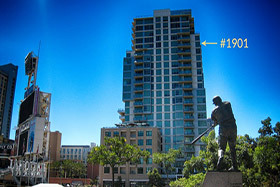 San Diego featured condos, townhomes, lofts and home listings. View pictures of our featured home and condo listings in San Diego. In this page we feature some of the finest homes and condos for sale in San Diego County. Register as a VIP member to view additional pictures, virtual tours and receive free email updates on San Diego condos, townhomes, lofts and homes for sale. Call us today at 619-921-0284 or send us an email to request a showing or additional property information. If you are a homeowner and you would like us to feature your San Diego condo for sale in All San Diego Condos com as well as on other very highly visited internet sites call or email us today!